David Marcus, 31, of Campbellville, ON, scored two more victories to put himself firmly in contention for the Canadian Dressage Team headed to the 2012 London Olympic Games. Marcus won both the Grand Prix and the Grand Prix Special at CDI3* Lexington, an international dressage competition held at the Kentucky Horse Park from May 24-27 in Lexington, Kentucky. One week earlier, at the CDI3* Canada Classic held May 17-20 in Burlington, ON, Marcus rode Deborah Kinzinger’s Chrevi’s Capital to victory in both the Grand Prix (68.681%) and the Grand Prix Special (72.356%). History repeated itself in Lexington with Marcus winning the Grand Prix with a score of 69.02% and the Grand Prix Special with 70.578%. Based on his results over the past two weeks, Marcus is now unofficially ranked in the top three on the Olympic qualifying leader board. Only one competition remains in North America for athletes hoping to earn a coveted spot on the Canadian Olympic Dressage Team, the CDI3* Blainville taking place from June 14-16 in Blainville, QC. Three horse-rider combinations plus two alternates will be named for the 2012 Olympic Games immediately following the competition, and all five will travel to Europe in preparation for Olympic competition in August. In the Grand Prix held Friday, May 25, Marcus enjoyed a personal best, earning a score of 69.02% from the five-member panel of international judges. He took the win over Pan American Games team gold medalist Pierre St. Jacques and Lucky Tiger of the United States who scored 68.70%, and fellow Canadian Diane Creech who earned 68.19% with her Olympic hopeful, Devon L.
In the Grand Prix Special held Sunday, May 27, Marcus won with a score of 70.578% over 2008 Canadian Olympian Jacqueline Brooks who earned 69.067% riding D-Niro and Creech, who scored 68.556% with Devon L.
The CDI3* Lexington competition was held in the Rolex Stadium, the same venue used for the 2010 Alltech World Equestrian Games, held every four years. Competing in an international venue with an electric atmosphere was ideal preparation for this summer’s Olympic Games. In Saturday night’s Grand Prix Freestyle, Marcus rode his other grand prix mount, Don Kontes, to a third place finish with a score of 68.13%. Also owned by Kinzinger, the 12-year-old Swedish Warmblood gelding is just returning to competition, having undergone colic surgery last September. Like his stable mate Chrevi’s Capital, Don Kontes only began competing at the grand prix earlier this year. 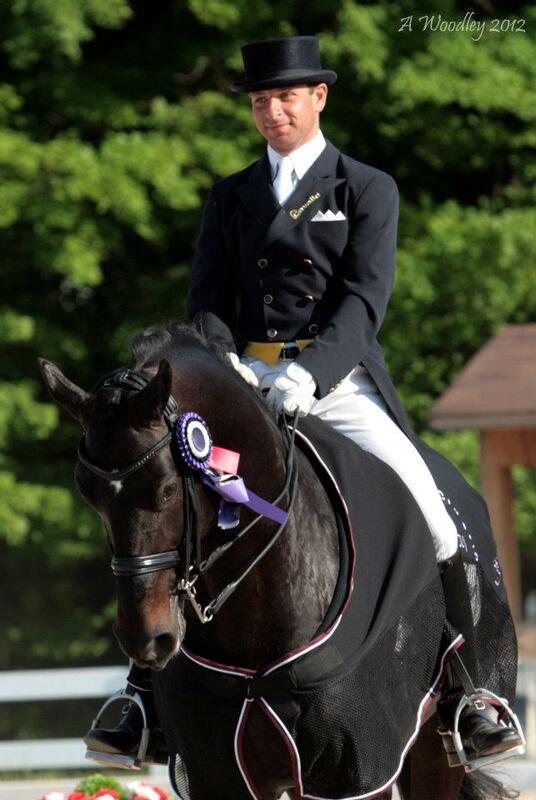 Marcus will now return to his training base in Campbellville, ON, where he operates David Marcus Dressage. Born in Omaha, Nebraska, Marcus has lived in Canada since he began attending McMaster University in Hamilton, ON, at the age of 18. He made his Canadian Dressage Team debut riding in the CDIO3* Wellington Dressage Nations’ Cup in Florida in April. For more information, please visit http://www.davidmarcusdressage.com/.